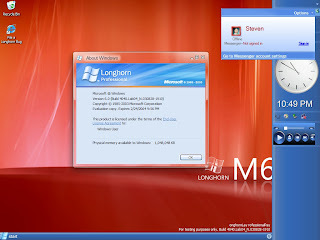 August 2003, two months before Microsoft is to unveil Longhorn to developers at PDC. Milestone Six is coming to an end, with only a build or two left before code for the new milestone was checked in. 4040 was one of the last builds of milestone six, as evidenced by the Pig Latin strings used for localization testing. It retains most of what has come before, as seen in 4039. Aero Glass (frame only) is in but barely working, having problems such as not redrawing the window contents unless resizing the window. 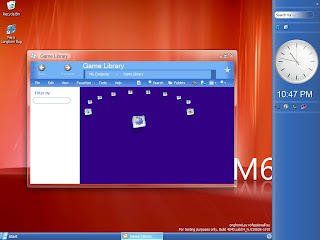 The concept of Aero Glass was near enough to being finished, and with Milestone 7 it was to be pulled out of the main code and contained solely within the Aero.msstyles theme file. 4040 contains both variants of Aero Glass - transparent and opaque, just as the Lab06 build, 4039. 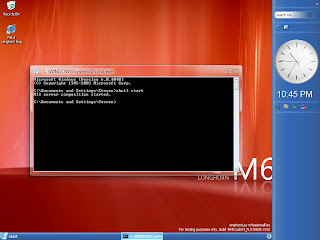 4040 contains the infamous "3D View" option in the shell view menu, allowing you to enable a MIL-rendered file view. Interestingly enough, the 3D spinning icons from 4029 are back in the shell, having been seen nowhere else since the earlier build. Phodeo and Carousel are both present and working. Plex is here too, likely its last time in a build, and it's not the updated version we saw in 4039 at all. It's the older one seen in 4033, without the smart-looking shell buttons. The Communication History (Prototype) was already present in 4039. Good eyes, haven't played with that build for a long time.